I had to post this! I work with some terribly drama-prone people. Seriously. Holy Cow! 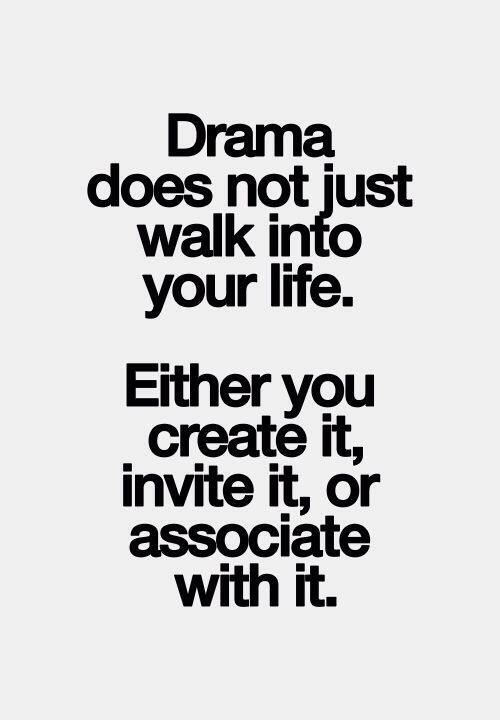 The amount of energy expended to either listen to drama, discuss drama, cope with drama, ignore drama, alleviate drama . . .or just dramatize drama . . . I could go on and on. And now I’m actually posting about drama! You exercised when you were here! Give yourself some credit! I did yesterday and I felt good all day long! I’m sore today but going to do my legs. I can hardly move my arms — I overdid. Yes I should give myself credit, but I’m having a hard time doing that since I’m up twenty pounds and feeling absolutely like a German Brown and having chest pains. etc. So I can’t give myself too much credit! I have to make changes right now!